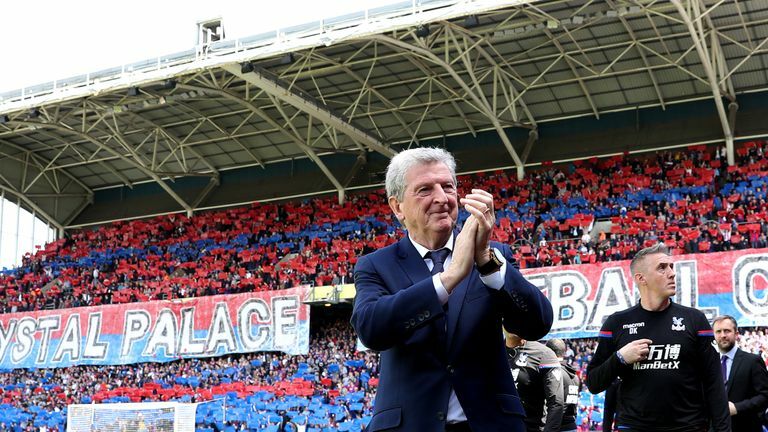 Roy Hodgson celebrated a year in charge at Crystal Palace this week, and defender Martin Kelly says the former England boss was an instant hit from the moment he walked through the doors at Selhurst Park. Croydon-born Hodgson succeeded Frank De Boer in September 2017, bringing to an end the Dutchman's 77-day stint at Palace where he presided over five defeats in five matches as the club's manager. Palace went on to finish a respectable 11th in the table, and Kelly, who previously worked with the 71-year-old at Liverpool, said Hodgson's man-management sets him apart from other Premier League head coaches. "[Hodgson] has been massive for the club," Kelly told Sky Sports News. "His presence, coming in locally, has seen the fans take to him straight away. "His overall experience and knowledge of the game, as well as man-management on a day-to-day basis [are just some of his key strengths]. "You can always approach Roy about anything and speak to him about anything. He's got that sort of aura about him where he always has a sort of positive vibe in training. "Win, lose or draw, we know what job we have got to do under Roy and as players you want that sort of confidence going into games."